Laurel Williamson, Center for Watershed Protection, Inc. 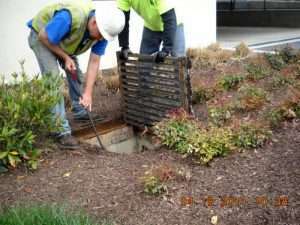 Geared especially for maintenance practitioners, this webcast covers the whats, whys, and hows of maintaining bioretention facilities. Beginning with an overview of what bioretention is, the presentation will move into the different types of maintenance and cover the specifics on exactly what to maintain why it should be addressed, and how to do it. We will also touch on the importance of maintenance plans and agreements (and enforcing them), and other “programmatic” elements of BMP maintenance. Targeted for landscape and other contractors that maintain bioretention, this webcast will also be beneficial for designers, regulators, and others with an interest in what it takes to maintain bioretention facilities. Slides from the webcast which aired on Thursday, April 30, 2015.